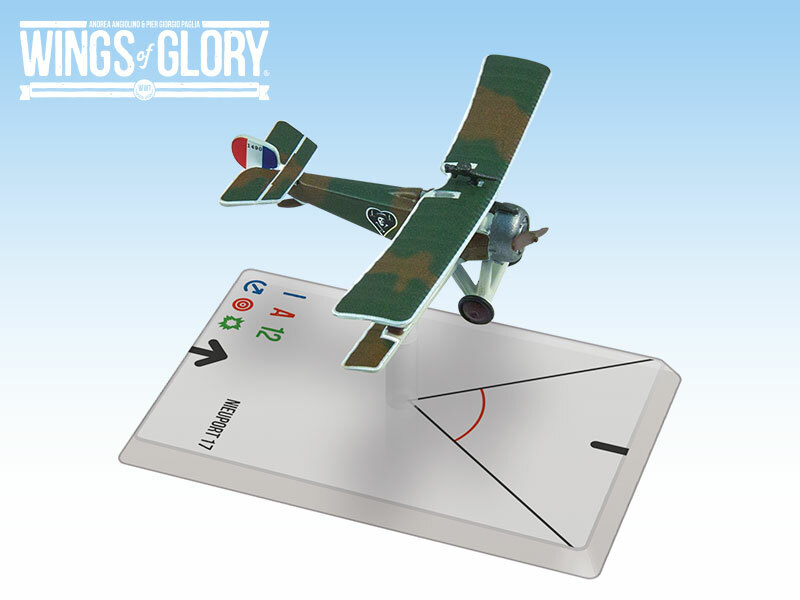 A new series of WW1 Wings of Glory Airplane Packs is coming soon, presenting the aircraft Nieuport 17, Albatros D.III, UFAG C.I, and RAF RE.8. While waiting their release, let’s learn more about them and the pilots of the versions featured in the packs, starting with the Nieuport 17. The Nieuport company began with two flying brothers (Edouard and Charles Nieuport) but both died in flying accidents. After Edouard’s death, the major financing for the company came from Henri Deutsch de la Meurthe, a French “oil baron” who realized he could sell more petroleum products if there were more gasoline engines in use, so he invested in both automobile and airplane companies, including a partnership with one of the Wright Brothers. After Schneider departed, new designer Gustave Delage began work on a two-seater, sesquiplane racer, which was not quite finished when the war began, but was soon released as the Nieuport 10 (and more powerful N-12). The plane was popular with both French and British pilots and its performance was so good it might be considered the world’s first two-seater fighter. In between N-10 and N-12, the much better known Nieuport 11 (Bebe) was released. It was a “Bebe” (baby) to the N-10, much like the Sopwith “Pup” was looked on as an offspring of the Sopwith “Strutter.” With the N-11 being considered one of the planes that ended the “Fokker Scourge,” the company looked to upgrade and improve performance. 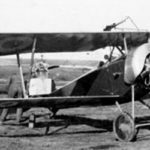 The Nieuport 17 began to replace the N-11 in March, 1916, and, by the end of 1916, the N-17 was equipping every French fighter squadron while the RFC and RNFS were buying as many as they could get also and the Italians built the plane under license. 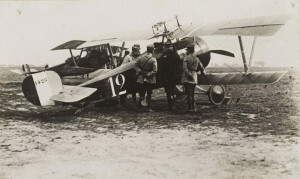 The type so impressed the Germans that they commissioned two of their companies to try and build direct copies of the N-17, and the “sesquiplane” design was adapted by Albatros as they made improvements to their Albatros D-II fighters. 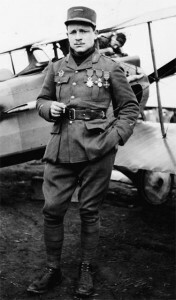 Every French ace flew the N-17 for at least part of their careers, and Charles Nungesser scored most of his victories on them. Nieuports were also the preferred plane of RFC pilots Billy Bishop and Albert Ball, who kept a N-17 for solo missions, even while flying the Se5 in squadron duties. Every allied country flew the Nieuport, and hundreds were manufactured under license in Italy. While the N-11 had been armed with a Lewis machine gun on the top wing, changing the small drum (just 46 rounds) was difficult and a frequent problem. A reliable synchronization gear allowed the French to mount a Vickers belt-fed machine gun on the deck in front of the pilot, while the British continued to use the Lewis (with a larger, “double” drum) on a curved rail mounting on the top wing. Some planes were fitted with both types of gun. To keep up with advances in enemy aviation, Nieuport made minor engine and frame improvements through 1917, but there was very little difference between the N-17 and the last sesquiplane fighter, the Nieuport 27. The faster Spad 7 began to outfit some squadrons and Nieuport turned to a more advanced design that the world would know as the Nieuport 28. The Nieuport 17 is presented in WW1 Wings of Glory in three different versions, featuring the aircrafts used by the aces Francesco Baracca, Charles Nungesser, and Bill Thaw and Raoul Lufberry, from Lafayette Escadrille. The three models come with two cards that address the possible advantages of the “top wing” machine gun, while each pack has special cards that reflect pilot skills. Let’s see more about these pilots. The Italian top-scoring ace Francesco Baracca. Francesco Baracca was Italy’s top-scoring ace, achieving 34 victories. Born of a wealthy, land-owning family, he attended the Military Academy of Modena and became an officer in a prestigious cavalry regiment, while learning to fly before the war began. 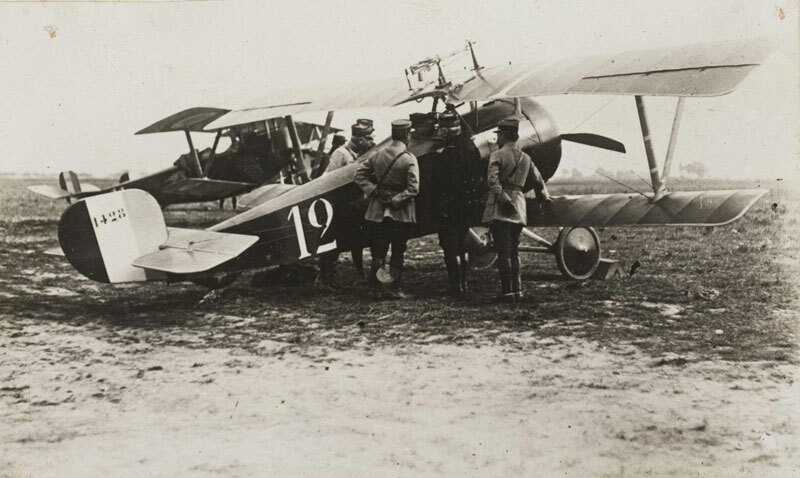 After Italy joined the war, Baracca’s service began in Nieuport 10s, but was much happier when he joined a N-11 unit, scoring his first victory — and Italy’s first victory as well! - on April 7, 1916. His favorite attack was to zoom in unseen below an enemy plane and fire from very close range, which could allow him to disable the plane without killing the occupants (which seems to have been his preference). 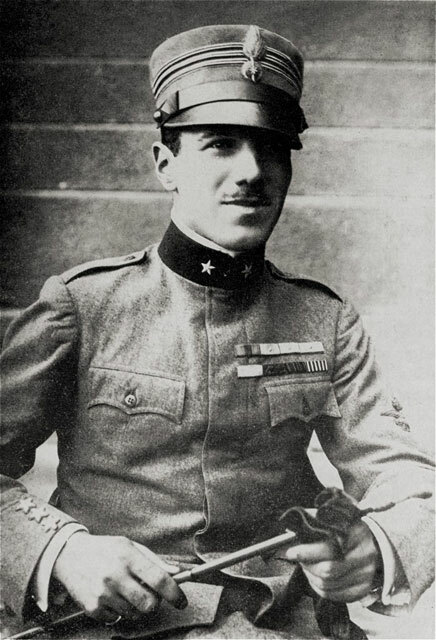 His score steadily climbed while serving in several squadrons and then taking command of the 91st—the “squadron of the aces.” He died June 19, 1918, during a ground attack mission, but reports are uncertain whether he was shot down while attacking an Austrian 2-seater or from ground fire. Baracca’s airplane pack includes two cards providing extra aim/shooting abilities ("Perfect Aim" and "Sniper"), the "Acrobatic Pilot" card, and the "Chivalrous Aptitude" card - which actually makes targeted planes have a smaller chance of being completely destroyed, reflecting Baracca’s preferences. Charles Nungesser's Nieuport 17 featured in Wings of Glory. If any pilot truly embodied the stereotype of WW1 pilots as gay, brawling, wild-living eccentrics, Charles Nungesser tops the list. As a young man in South America, he became an auto mechanic, auto racer, and pilot, though he joined a cavalry unit when the war began. Several exploits and a medal in ground action gained him a transfer to the air service, where he began flying bombers! He still managed to shoot down a German plane, though did so while assigned to non-flying duties, resulting in him being arrested for insubordination and then decorated. (Not the first time he was arrested for disobeying orders!). After over 50 bombing missions he retrained and transferred to Nieuports, spending part of his time attached to the Lafayette Escadrille. His good looks and flamboyant personality were widely publicized and ran to extremes -sometimes flying in the tuxedo from the previous evening and sometimes having to be helped into the plane because of extensive injuries. And he had many of those, including two broken legs, a skull fracture, multiple jaw fractures, several bullet wounds, and more. He seems to have favored the Nieuport 17, continuing to fly his silver plane (with its macabre deathly insignia) long after the rest of his unit had switched to SPADS. With François Coli, Nungesser (right) disappeared trying to make the first transatlantic flight. He finished the war with 43 victories, as the France’s #3 ace, and went on to a post-war career that varied from giving flying exhibitions to trying to make a living in aircraft sales. He can be seen flying a Hanriot with his personal markings in the 1930 movie “Dawn Patrol,” and that airplane is exhibited in the Planes of Fame air museum in Chino, California. Nungesser disappeared with Francois Coli trying to make the first transatlantic flight, a few weeks before Lindbergh succeeded. While Nungesser planes are often seen in the company standard silver paint scheme, he did use this interesting tri-color camo scheme on N-1490, which he flew (and used up!) during the month of July, 1916. Special cards in this plane pack include the Alternative armament (just the lower B gun), which Nungesser mostly used, plus "Shadower," a special use card that makes Tailing even better, and the "Sniper" ability. The third Nieuport bears the personalized monogram that William Thaw used on his planes. However, after a wound, Thaw did no flying at all in November and December 1916 and the new plane was used by several pilots, including Lufberry, whose plane had been written off in October. 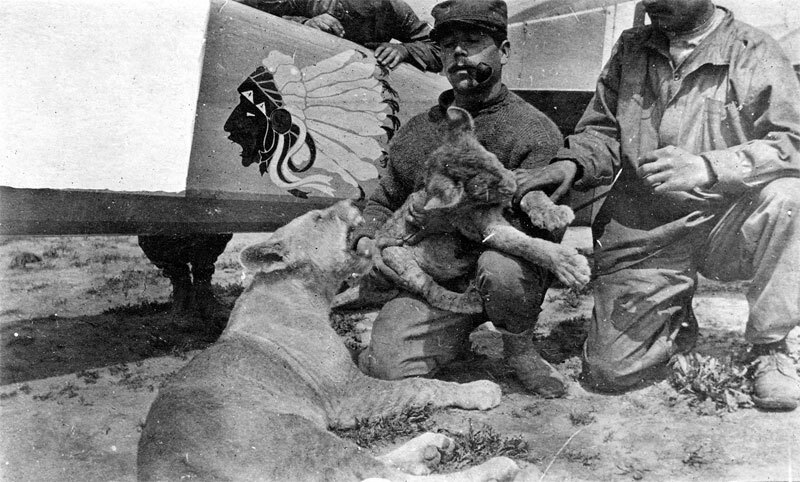 William Thaw, with the Lafayette Escadrille's mascots, lion cubs Whiskey and Soda. William Thaw was born into a wealthy New England family and learned to fly while attending Yale. His father bought him a plane which he took to Europe for the Schneider races and when war broke out, he donated his plane to France and joined the Foreign Legion but moving directly into aviation. Thaw flew Caudrons, then Nieuports, then was transferred into the unit that became the Lafayette Escadrille (where he is “credited” with buying the first of two lion cubs that became unit mascots.) He scored quickly in a Nieuport, shooting down an enemy plane in May, 1916, but was not credited with another victory for almost a year. Transferred to the US Air Service, he commanded a squadron, then a Pursuit Group, ending the war as a Lt. Colonel with five confirmed victories. His special card in the game is the "Acrobatic Pilot". Gervais Raoul Lufbery’s life would make a great novel. Born of an American chemist working in Paris and a French mother, his father dumped him on his wife’s parents when he was just one year old and his mother had died. Raised strictly, he ran away from home at age 17 and his adventures began. He worked his way all around the Mediterranean and then served in the U.S. Army for three years, serving in the Philippines and traveling all over Asia, ending up mustered out in Indo-China and working as a mechanic for air pioneer Marc Pourpe. 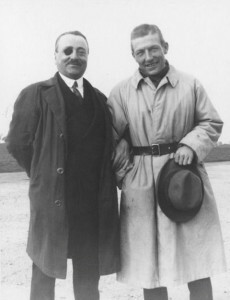 Pourpe went back to France and joined the air services when the war broke out and Lufbery followed him, becoming a pilot himself after Pourpe’s death. Lufbery was successful more due to hard work than natural ability. Only marginal as a pilot, he spent much time with the mechanics to assure his plane was in excellent condition, and he literally examined and polished each bullet that went into his drums or belts to reduce jams. 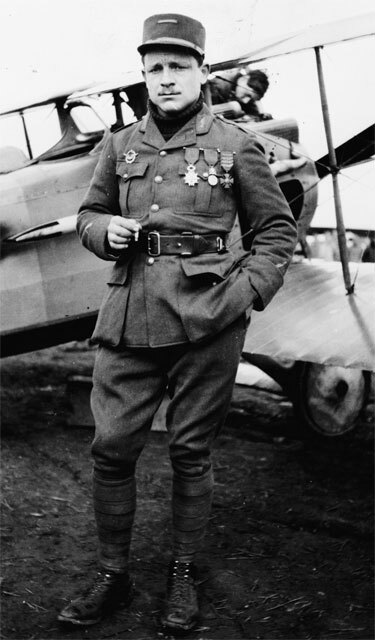 Later, when the Lafayette Escadrille was formed, Lufbery was recruited into the unit, the authorities believing that an American citizen with extensive flying and combat experience would be of great help to the unit. It was a rocky beginning, as Lufbery’s thick accent and working class/vagabond background did not mesh well with the mostly wealthy, college educated other members. But his experience and determination gained their respect, increased even more when he became Whisky the lion’s favorite member. Lufbery was credited with 16 victories when he was transferred to the US Air Service, commanding the 94th Squadron with the rank of major, and seeing his primary job as teaching new pilots (like Eddie Rickenbacker and Doug Campbell) how to survive. He scored one more victory under US colors (although his comrades say he shot down many more than 17 planes) before he was lost attacking a Rumpler over allied lines. He is now buried at the Lafayette Memorial, outside Paris. In addition to the upper wing machine-gun cards, Lufbery gets the special “Bullet Checker” ability which allows the player to ignore jam results that are on the damage card in green. Information sources: "Nieuport Aircraft of World War One - Vintage Warbirds No 10", Bruce, J.M. (1988, London: Arms and Armour Press), "French Aircraft of the First World War", Davilla, Dr. James J.; Soltan, Arthur (1997, Mountain View, CA: Flying Machines Press), "Nieuport Aces of World War 1 - Osprey Aircraft of the Aces 33", Franks, Norman (2000, Oxford: Osprey Publishing), The Aerodrome, L'escadrille 124 La Fayette. * Université de Caen Basse-Normandie, via Wikimedia Commons.